Is Caps Lock ON or OFF now? Many laptops and wireless keyboards either don't have any indicator for Caps Lock or have it located in an inconvenient or hidden place, under a hand for example. So knowing the actual state of Caps Lock, especially after accidental key pressing is a huge problem! You can easily solve this using Caps Lock Indicator software. 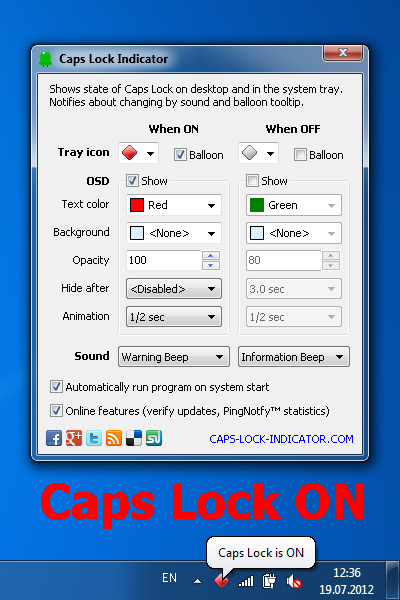 Moreover, you'll be notified with different sounds when Caps Lock is turning On and Off!